The only thing the EUR/USD currency pair was able to do is to test the upper border of a correction channel and return to the broken border of the H4 channel. Today the price is expected to reach the target at 1.2840 and may end this correction. The GBP/USD currency pair continues forming the second ascending impulse. 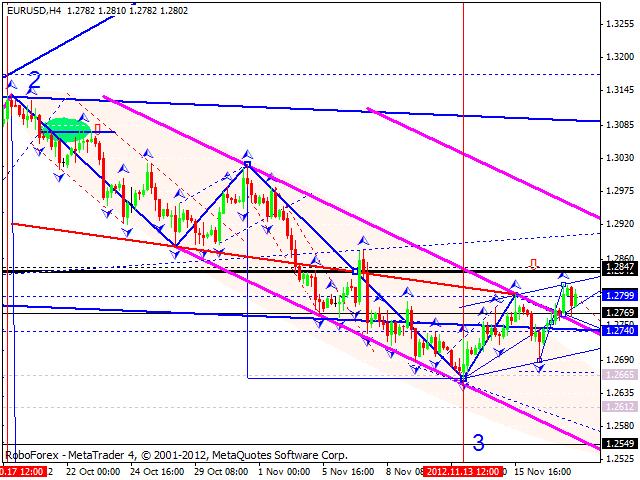 Today we can see a consolidation channel, which was broken upwards. 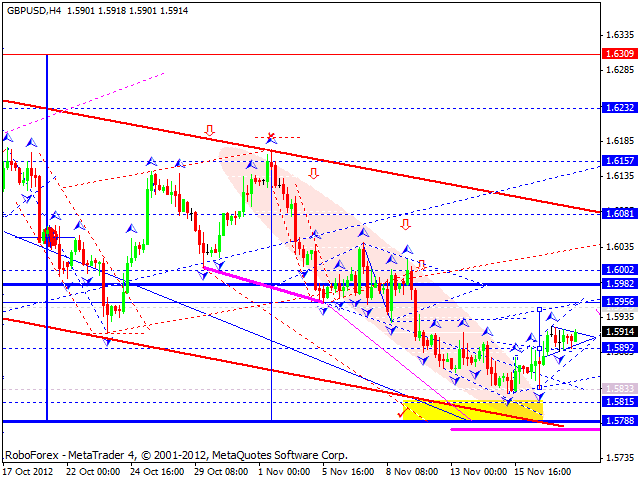 The price is expected to move towards, reach the target at 1.5950, and then return to the level of 1.5890. 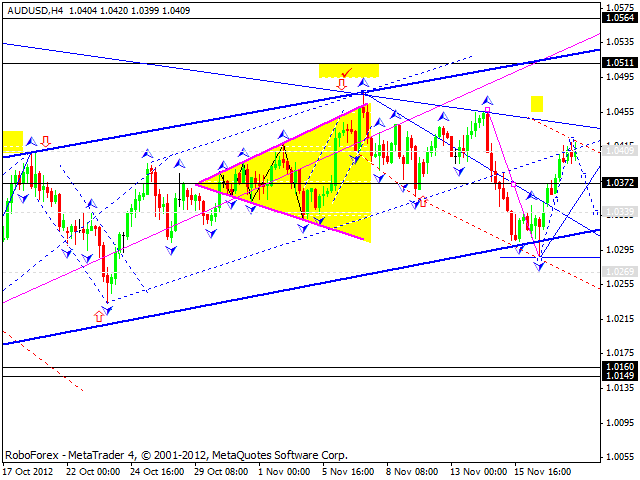 The USD/CHF currency pair renewed the minimum of the first wave, but the structure of the wave implies that the price isn’t strong enough to continue it. 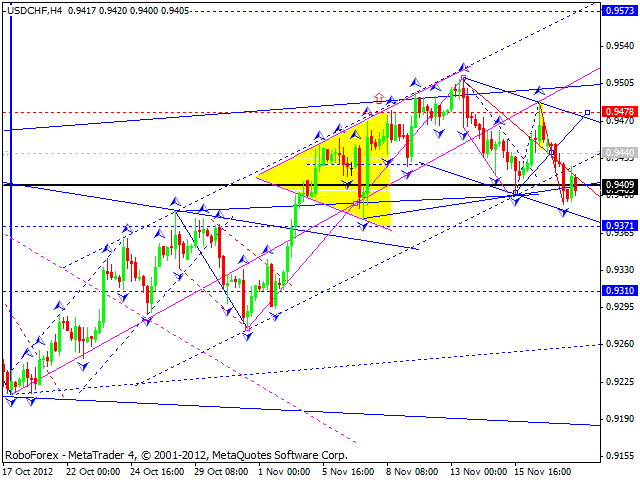 The maximum target of this correction is at 0.9370. After that the pair is expected to make a reverse and continue growing up. The USD/JPYT currency pair is consolidating inside a narrow trading range. 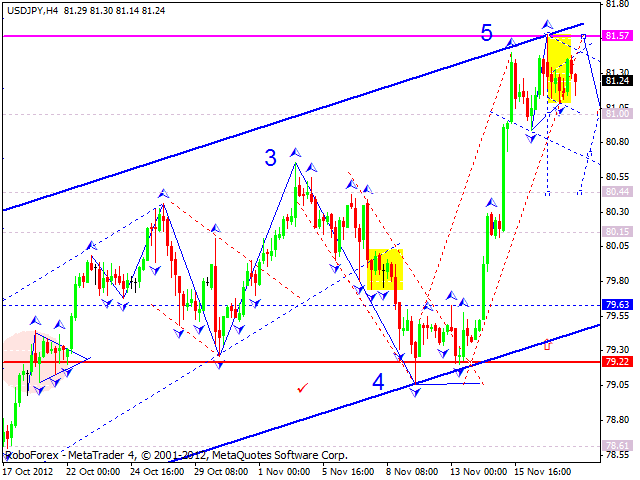 Today the price is expected to leave this channel downwards and reach the target at 80.40. In the future, we can expect the pair to start a corrective movement. Australian Dollar reached the targets of the growth defined earlier. Today the pair may grow up a bit more. Later we can expect the price to fall down and eliminate yesterday’s gap. The target is at 1.340. Gold reached the targets of the growth, just as we expected. 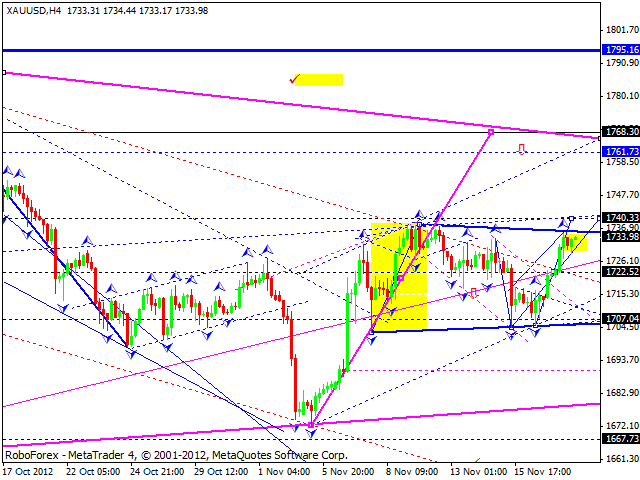 There is a possibility that the instrument may expand this wave a little and reach the level of 1740. Later the price may fall down towards the target at 1722, or even lower – at 1707.